In the U.S., the Seven Years' War is often called the French and Indian War. 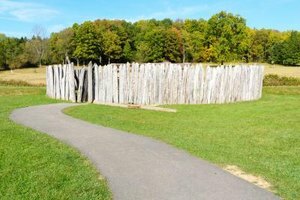 It had profound effects on Native Americans, particularly those in the Ohio River and the Mississippi River regions. Many of these tribes actively participated in the war and chose sides. After the war, the Ohio Valley tribes lost a powerful ally in France, and therefore their ability to counteract English colonial intrusions into their territories. By the middle of the 18th century, France and Great Britain were at odds over competing territorial claims in North America. In particular, the dispute arose over French claims to the Ohio and Mississippi river valleys in the face of incursions by English settlers. Because there were few French or British troops on the frontier, native allies were critically important and actively recruited by both sides. 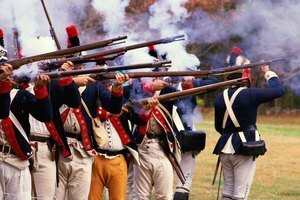 The war began in 1754, when Virginia militia under the command of a young George Washington were defeated in a campaign to remove French forces from Fort Duquesne (modern-day Pittsburgh, Pa.). By 1756 the British-French conflict had spread to Europe, and in the seven years that followed also involved most European powers. In North America the French had a number of native allies during the war. These included those tribes that lived near missions and had converted to Catholicism such as many Potawatomis and Ottawas. Several of the prominent Ohio River tribes also allied with the French, most notably the Delaware and Shawnee, who had broken away from the powerful English ally the Iroquois. 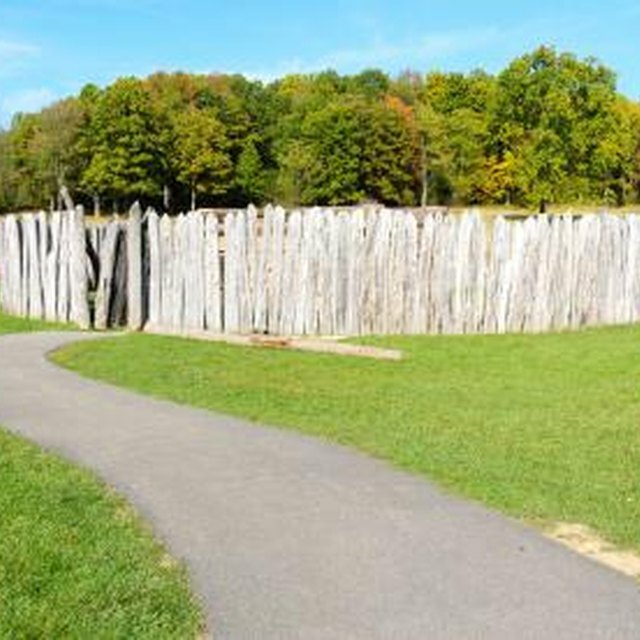 A turning point in the war occurred in 1758, when the Ohio Valley tribes signed a peace treaty with the English, which caused the French to abandon Fort Duquesne. By the time the war ended in 1763, the losing French had ceded their claims in New France to either Britain or Spain, including eastern Canada, the Great Lakes region and Louisiana, which stretched across the Mississippi and further westward. The Seven Years' War essentially began the process of opening up the American frontier for British and later American settlers. 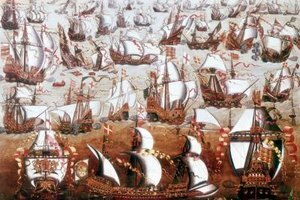 The powerful French no longer stood in their way, and no longer served as a counter-balance used by the tribes to curtail English settlement. The tide of settlers sweeping west across the Appalachians proved devastating for tribes already weakened by warfare and dispossession. They were also being stressed by other, Eastern tribes being pushed west into their territories. Inter-tribal warfare erupted in the Ohio River Valley and soon spread to the Mississippi region. 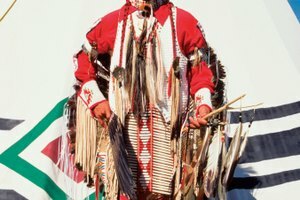 In response to their treatment by the victorious British, a loose alliance of Ohio Valley and Great Lakes tribes formed under the leadership of an Ottawa chief named Pontiac. They soon began to attack British forts west of the Appalachians. As this conflict got underway, King George III issued the Royal Proclamation of 1763, creating an Indian boundary at the divide of the Appalachians and prohibiting colonists from settling lands further west. The proclamation pushed disgruntled and land-hungry American colonials closer toward seeking independence from Britain. It also formed a pattern that continued under the United States: the creation of reservation lands for Native Americans that were continually encroached upon by European-American settlers. 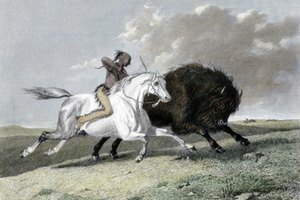 National History Education Clearinghouse TeachingHistory.org: Which Native American Tribes Allied Themselves with the French? Peterson, John. "How Did the Seven Years' War Affect Native Americans?" Synonym, https://classroom.synonym.com/did-seven-years-war-affect-native-americans-17698.html. 26 June 2018.